Francis Wiart transformed his dream into a reality: he gave himself the luxury of creating his own 18 hole course on his own land and positioning the teeing areas where he wanted them. With all the space he needed in his superb 350 hectare property composed of lakes, woods, and a relief particularly suited to golf, he created a true, Par 72, course which follows the relief, goes through the forest and skirts a huge lake. 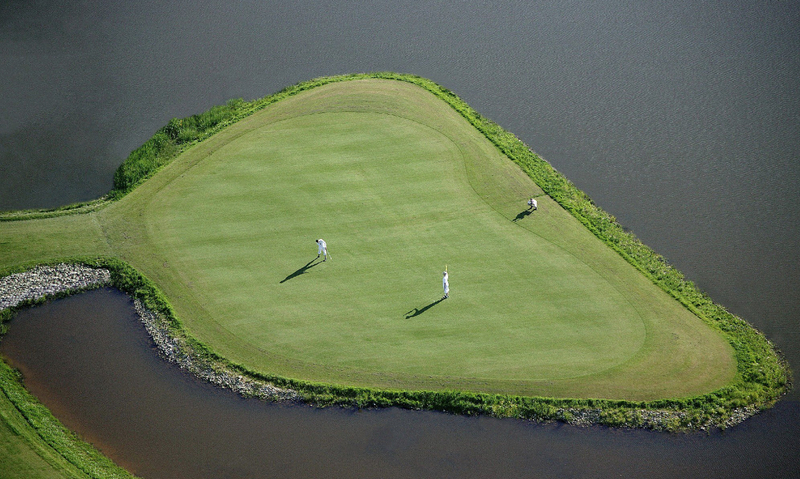 It should be noted, the island green of the 12th hole will delight all players!The golf course has a computer controlled drainage and irrigation system. Each green has its own sprinkler. The fairways are equipped in the same way, thus avoiding any risk of parts drying out. Everything has been thought of: from the eating point of view, a Club House has been provided in an old hunting lodge with exposed beams and the Ermitage estate has three duplex bed and breakfast rooms. From the point of view of relaxation, a fly fishing area is available on the estate’s lakes (black bass, rainbow trout, catfish ...). 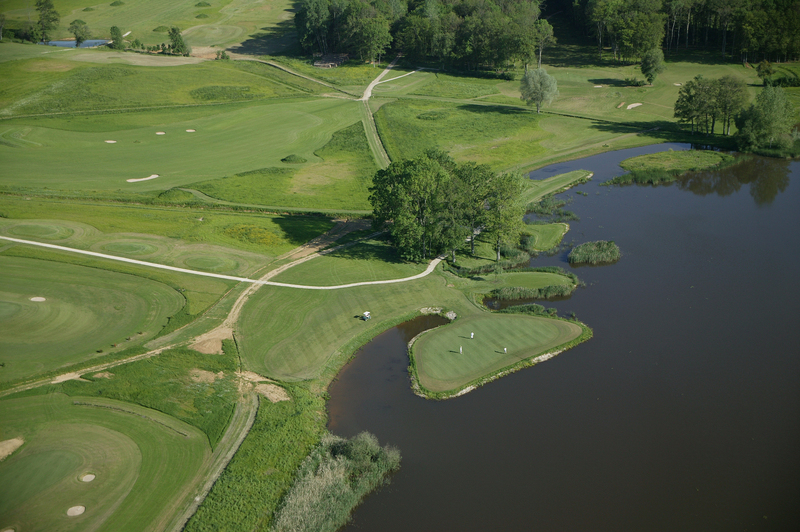 What to do around "Golf de l'Ermitage" ?